The following are common questions regarding the Unity Foundation scholarship process. If you have a question that is not answered on this page, we encourage you to contact us. Why is there a general scholarship application? 1) The general application was designed to allow students to apply for several different scholarships through one application. 2) The general application evaluates the responses provided and matches applicants with the scholarships for which they may be eligible. 3) The general application saves students time by requiring only one application to be completed for most Unity Foundation scholarships. 4) Five additional “unique” scholarship and award applications are also available. What information is required on the general application? Each scholarship fund is set up differently to meet the wishes of the founding donor; therefore, each scholarship has its own set of eligibility requirements and its own selection criteria. A complete list of scholarship funds with detailed information on requirements and criteria is available by clicking here. 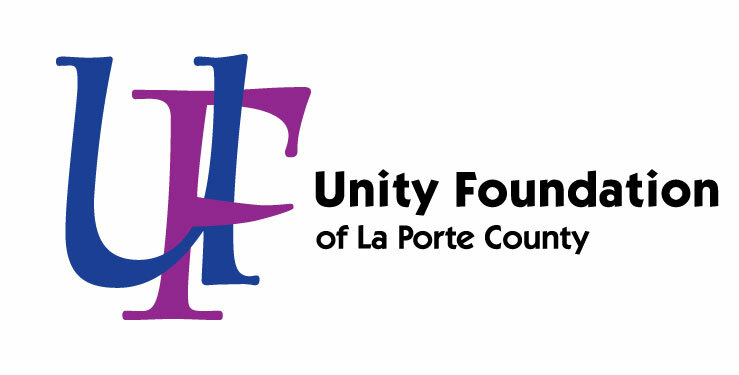 *The following people are not eligible for scholarships administered by Unity Foundation of La Porte County: officers, employees and members of a scholarship committee of Unity Foundation and their immediate families. I’m a 21st Century Scholar. Am I eligible to apply for any Unity Foundation scholarships? 21st Century Scholars are eligible to apply, but most scholarship funds may be used for tuition only. Any awarded scholarship funds would be applied to tuition fees not covered by the 21st Century Scholarship. I am not a 4.0 GPA student. Are there scholarships available for me through Unity Foundation? Many Unity Foundation scholarships do not include academic performance as a selection criterion. Some scholarships only require that you have a specified minimum GPA or that you have maintained good academic standing (you are not on academic probation). I am not a high school senior and I am already enrolled in college. Are there scholarships available for me through Unity Foundation? Unity Foundation administers scholarships for graduating high school seniors, current college students, returning college students, and graduate level college students. I am pursuing a post-secondary certificate or other degree instead of a traditional four-year bachelor degree. Am I eligible to apply? There are Unity Foundation scholarships specifically designated for those who wish to pursue a post-secondary certification or an associate degree. Many scholarships do not have a requirement as to which type of program you are pursuing. If I graduated high school at mid-term, am I still eligible for scholarships? A mid-term graduate is considered to be part of his or her senior class and is eligible to receive scholarships designated for graduating seniors that will be awarded the June after he or she finishes high school classes. Yes, it is possible for students to be selected for more than one scholarship. This is no application fee. Awards range from $250 to $2,500, with the majority at $1,000. Some scholarship funds make one award each year, while others make multiple awards. What kinds of costs can my scholarship cover? For most scholarships, award dollars must be used to pay for tuition fees. Most Unity Foundation scholarships are one-time scholarships and are not renewable. Some scholarships allow for applicants to receive the award multiple years but recipients must apply and be selected each year. Of the few that are renewable, recipients must complete a renewal application providing verification of their continued eligibility. A Selection Committee named by Unity Foundation of La Porte County independently reviews all scholarship applications. Committee members sign confidentiality agreements, and all information from the applications is kept in the strictest of confidence. All applicants will be notified of their award status in early June. All notifications will be sent to the email address provided on the student application. It is critical that applicants make Unity Foundation aware of any changes to their email address throughout the selection process. If I receive a scholarship, how is the money disbursed? Unity Foundation policies require scholarship checks to be sent directly to the college or university for most scholarships. Upon notification of award, recipients will be required to provide verification of their college/university enrollment. This information must be received by June 30th. Award checks will be processed and distributed mid-July. For all awards equaling or greater than $500, the college/university is requested to apply 50% to fall semester and 50% to spring semester. If you will be a mid-year graduate, exceptions may be made for the entire award may be applied to fall semester. The Lilly Endowment Community Scholarship is paid in multiple disbursements and requires recipients to submit specific documentation before awards can be released. Recipients will receive information regarding their responsibilities and how the award will be disbursed. The scholarship application requires that I upload files in a PDF format. How do I create a PDF file? Who should I contact if I have questions about a scholarship or the application? If you are a current high school student, first contact your guidance counselor or the scholarship coordinator at your school. If you are not a current high school student, or if the guidance office is unable to answer your question, please contact Deb Varnak, Unity Foundation Vice President, at 219-879-0327 or dvarnak@uflc.net.